LIDARIS is a high-tech company, which provides professional optics characterization services focused on Laser-Induced Damage Threshold (LIDT). We also offer R&D services based on original hardware and software solutions aimed at improving the quality of high power optics. LIDARIS team is focused to understand the needs of our customers and provide the best technical and financial solutions for each situation. More than 90 organizations worldwide – the most famous optics companies – have trusted LIDARIS as their LIDT service provider. One can say it is in our group nature to strive for the best possible results. LIDARIS was founded as a start-up of Vilnius University Laser Research Centre by a group of scientists working intensively in the field of laser-induced damage phenomena. Our experience covers more than 15 years of research in nano-pico-femtosecond laser-induced damage, optical elements, and thin film coating development. 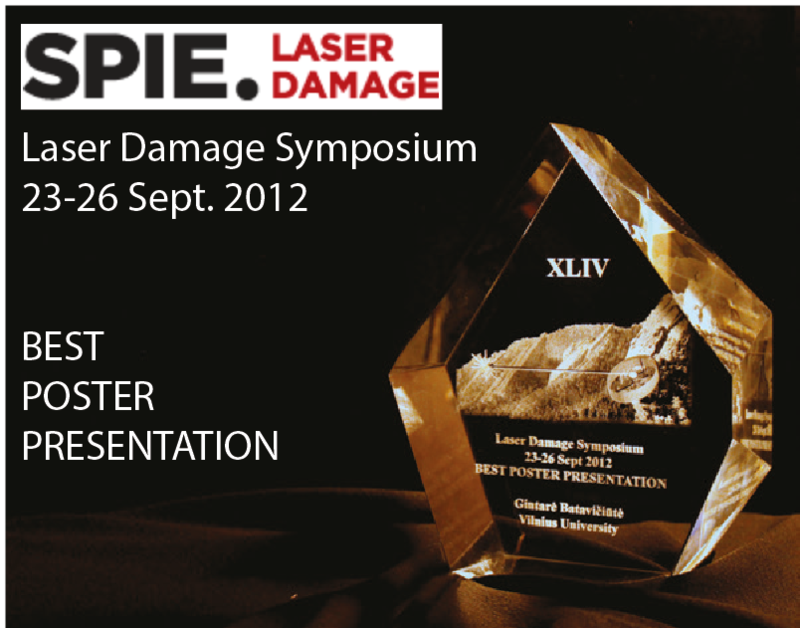 Broad knowledge led to the development of the state-of-the-art analysis technique, which was internationally awarded by SPIE Laser Damage community. Lidaris team is constantly involved in the R&D activities. Currently, we are proud to work with European Space Agency on issues related to the qualification of optics’ longevity required by space programs. Keeping in touch with the most important laser damage related issues, LIDARIS team is determined to provide our clients with the newest available knowledge and helpful innovative solutions.